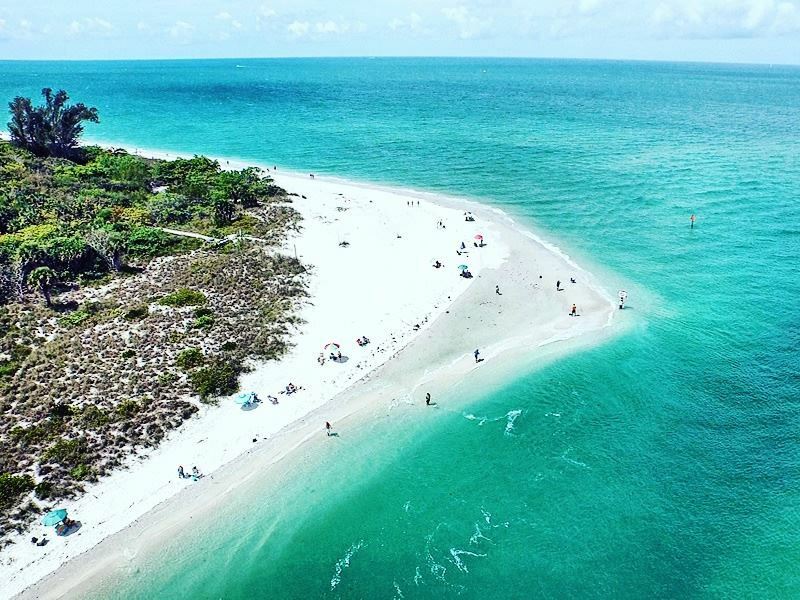 Sun soakers, water sport enthusiasts and nature lovers, rejoice – we’ve got a brilliant selection of American beaches here that suit every taste. 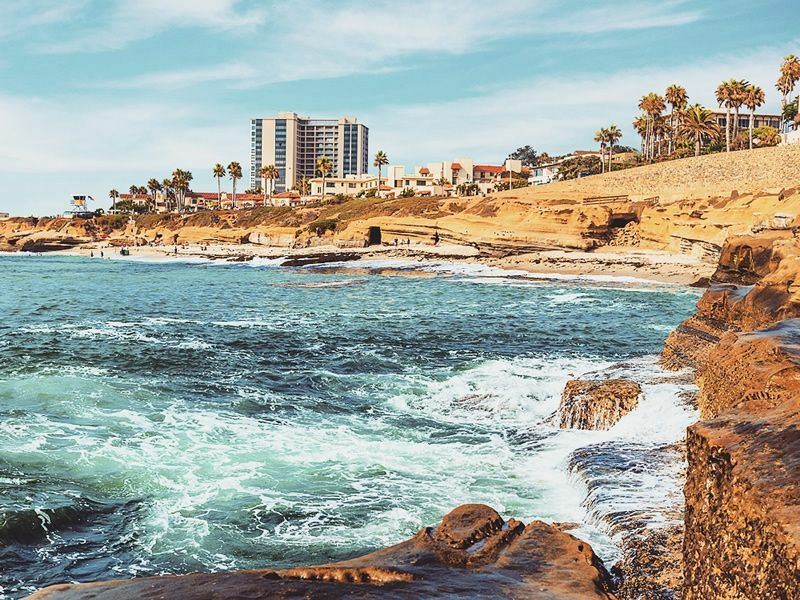 From a beach enjoying 361 days of sunshine each year, to another that is steeped in history with fascinating shipwrecks and lighthouses, America is certainly host to some exhilarating coastal areas. 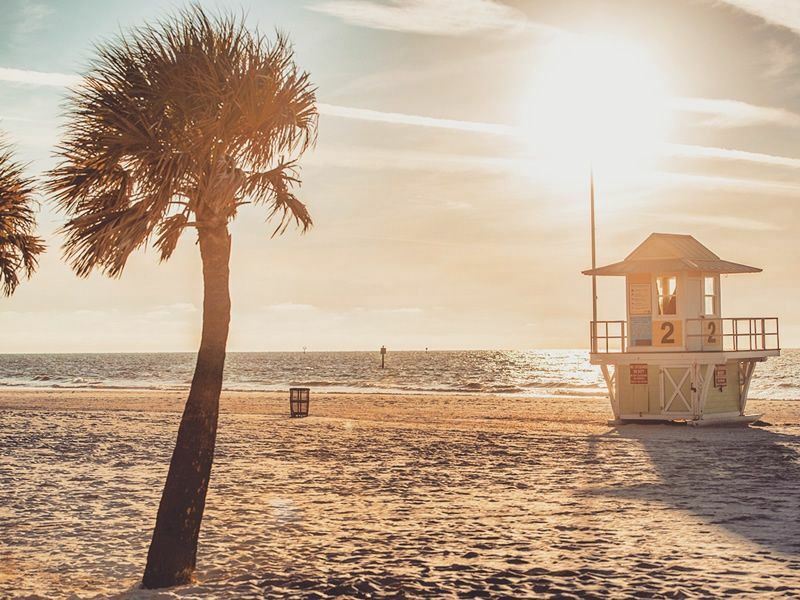 So grab your beach towel, tuck a surfboard under your arm, pack a light picnic, and discover the top 10 beaches in America. You won’t be disappointed. 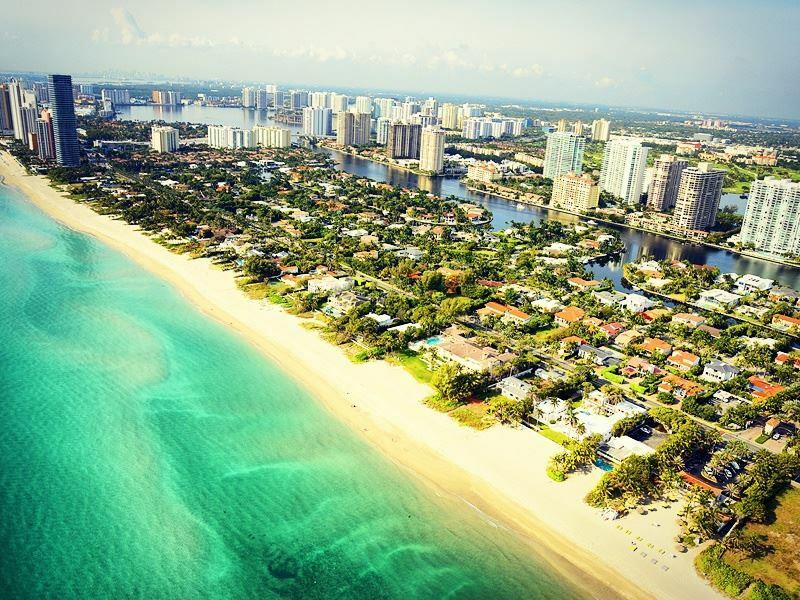 Bright art deco architecture, long stretches of white sands, a plethora of fun beach activities… welcome to South Beach in Miami. 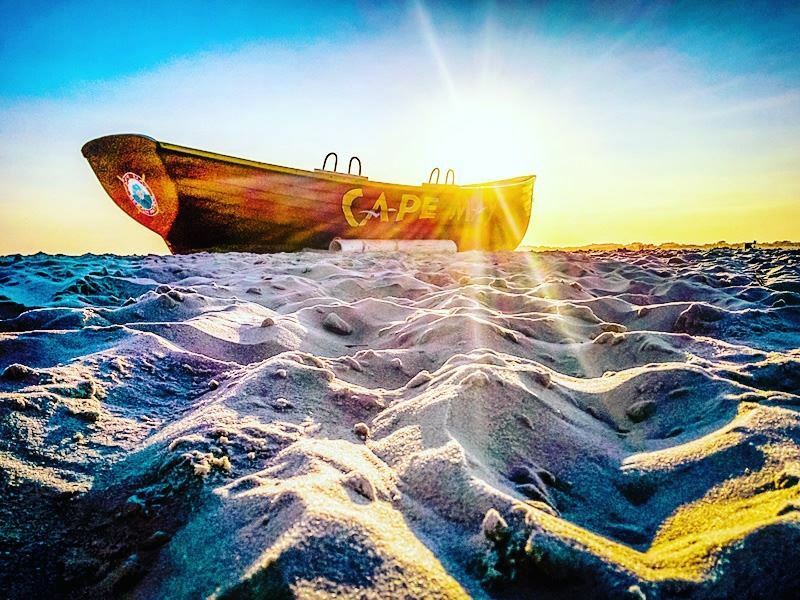 Artsy and vibrant, this eclectic beach is the perfect place for socialites looking for brilliant nightlife and a fun-filled day at the beach. There’s plenty of sports and recreation here – take a stroll down the scenic boardwalk and you’ll be sure to have runners, cyclists and even cool locals on rollerblades whizzing right past you – as well as fabulous designer boutiques to dip in and out of when you need a break from the sun. Keen surfer? Grab your surfboard and head to the beach between 1st and 5th streets – the water here is perfect for an afternoon of riding the waves. Youthful and trendy, the beach is lined with plenty of innovative eateries and pubs, with a choice of burgers, hot dogs and Italian cuisine to tuck in to after a long day of sunbathing. In the evening, you’ll be met with beautiful sun sets, as the buildings behind you flood the beachfront streets with vivid reds, blues and pinks. 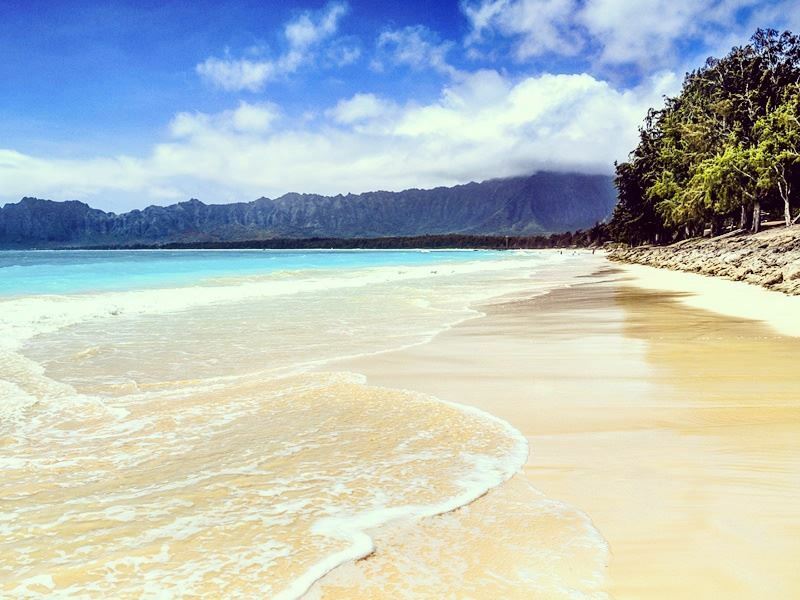 Hidden in the naturally stunning island of O’ahu, this is the best spot to place your beach towel should you be looking for quiet, unspoiled beauty. With no hotels or shops in sight, this is certainly a natural beach at its best, offering solitude and peacefulness close by to the famous, livelier Waikiki Beach. No matter what the weather looks like, you’ll be graced with a beautifully azure blue sea, with the shady ironwood trees offering a place to cool down and read a book. Once the filming location for Baywatch Hawaii, you’ll be able to see wide stretches of pure white sand from every point of the beach, though on either side there are two access points with fantastic picnic areas and pretty pavilions. This is definitely the perfect spot for a memorable wedding photo, whilst body boarders will relish the low waves that gently lap against the sand. 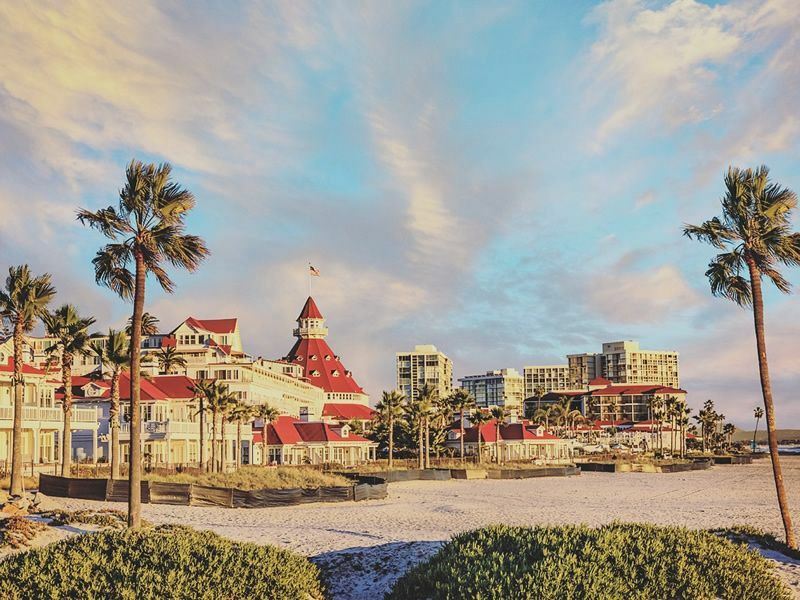 As soon as you step foot on the warm golden sands, the first thing you’ll see is the tall, towering palm trees that line the shores. Ranked as one of the best family beaches in America, this is definitely one of the liveliest of the lot; with plenty to keep young ones entertained as mum and dad soak up the sun. The gentle waves offer brilliant terrain for beginner surfers, whilst there are a few grassy areas dotted around for picnics and a fun playground for the kids. Don’t forget volleyball courts, kayaking and even paddle boarding – sure to entertain all of the family. In the evening, grab your s’mores and gather round one of the warming fire pits, taking in the stunning sunsets as you tuck into the sticky treat. You’ll be amazed by how pristine white the sand is here – with 99% of it being pure quartz sand, no matter how hot the sun beats down it will be cool beneath your feet. This is definitely a good choice if you’re hoping for a family holiday in the sun – the shallow water near the shoreline is perfect for little ones to splash in the sea, whilst on land there are tennis and volleyball courts, a great playground, and a cosy picnic area. Popular with fishing and boating, this beach is recognised as one of the nation’s best thanks to its recreation and beautiful, fine sands. Fancy a break from the sun? 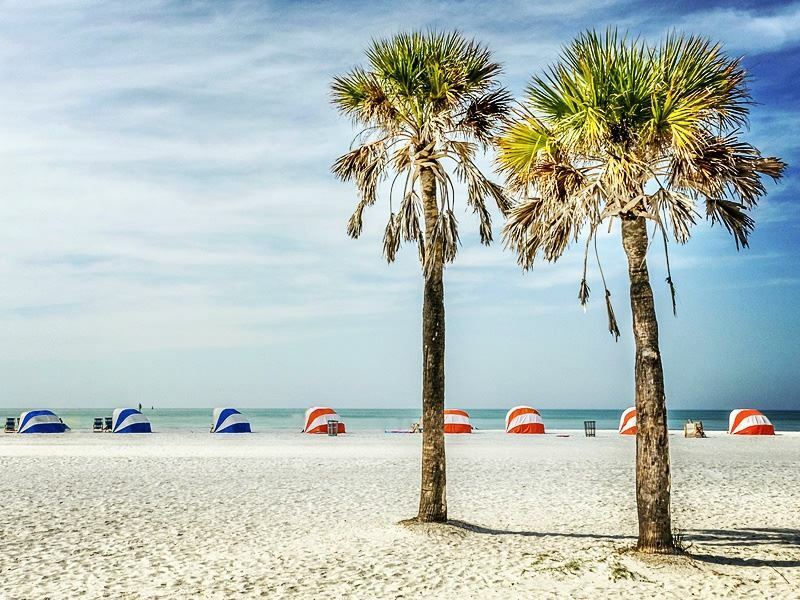 The beach is only a short stroll away from the lovely shops and restaurants in Siesta Key Village. Many families flock here for a day of sunshine, their myriad of bright umbrellas shrouding the beach with a wash of colour. This is definitely a family friendly beach – and for good reason. The locals here are incredibly friendly and create a great community feel, parking their delicious food and drink vendors along Beach Avenue and making holiday makers feel welcome. Cape May is home to a few small beaches, all with their own personality and charm – Higbee Beach is secluded, quiet, and unspoiled – perfect for an afternoon of solitude, Sunset Beach is aptly named due to its spectacular sunsets and also well known for its al fresco dining, and The Cove is perfect for avid surfers. Take your pick – you won’t be disappointed. If you prefer to indulge in exciting beach recreation rather than just sunbathe in the sand, this beach is the place for you. 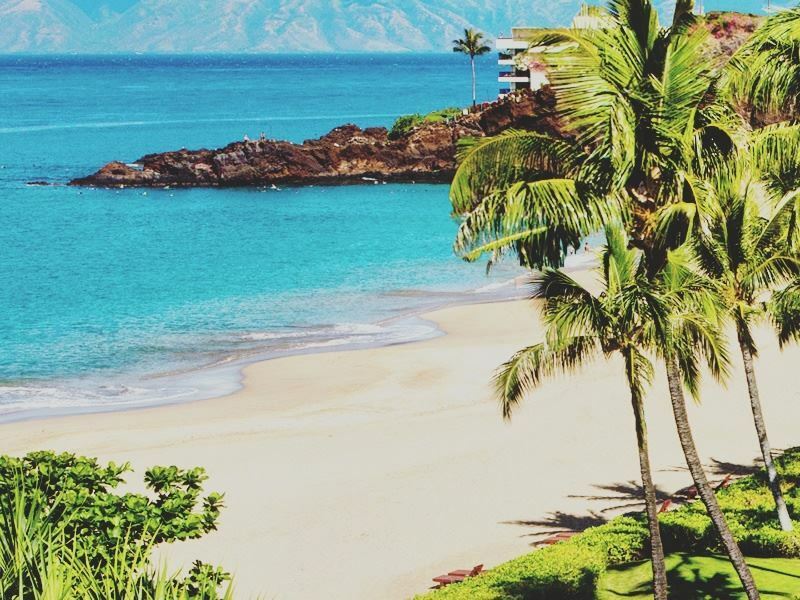 Known as the signature beach of West Maui, its three miles of powdery white sand and azure waters offer the perfect terrain for a variety of activities. Are you an adrenaline junkie? If so, Black Rock (Puu Kekaa) is a popular spot for a heart-pumping cliff dive. For those a little less daring, the snorkelling in this area is incredible too – the crystal clear waters that surround the cliff offer amazing views of Hawaii’s colourful marine life. This is certainly a hot spot for surfers and swimmers too, and the various shops and restaurants at nearby Whalers Village Mall offer a more laidback afternoon at this beautiful beach. Nature lovers will relish an afternoon at this gorgeous beach. 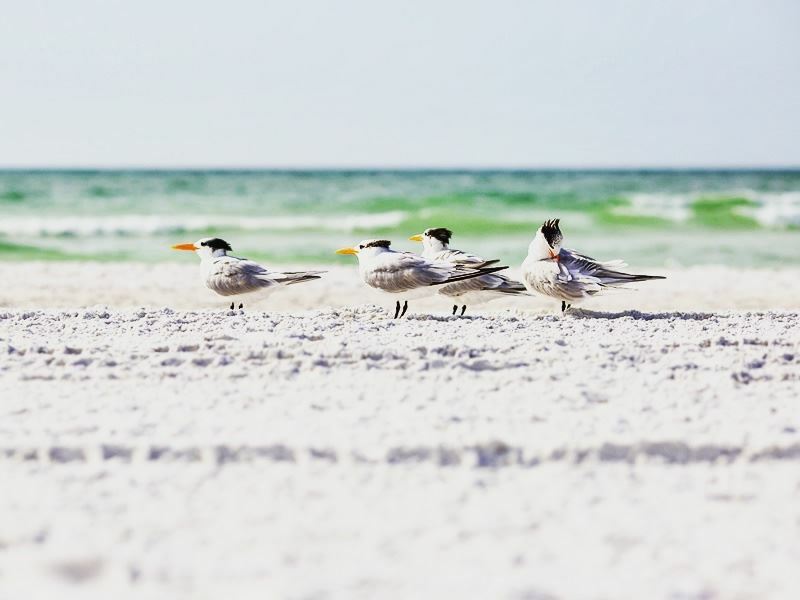 Nestled on a barrier island near Naples; the white sands, unbelievable blue sea and shady trees are home to a plethora of wildlife, including plenty of shorebirds and schools of fish. You can be as relaxed or as adventurous as you like here, choosing between a quiet day of hiking, seashell searching, and enjoying a delightful picnic, to a more full on day of canoeing, kayaking and boating. The luscious mangroves forest nearby only increases its unspoiled charm, as well as the observation tower that graces you with panoramic views of the island. 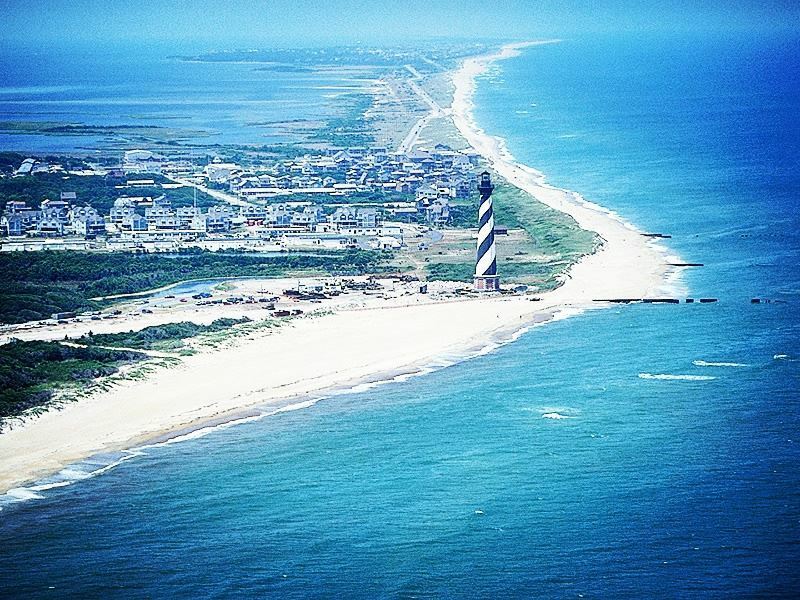 Steeped in history and culture, this fascinating North Carolina beach is host to plenty of cultural attractions, including large shipwrecks and the majestic Cape Hatteras Lighthouse, whilst the fishing and surfing is regarded as some of the best on the East Coast. This is another fabulous beach for wildlife lovers – magnificent sea turtles graze on the shores in the summertime, whilst coastal birds regularly make this lovely beach their home. With over 70 miles of wide open space, this is the perfect terrain for a romantic meander along the sand, but there’s plenty more to keep you entertained, too. Beach fire pits, picnics, camping and sell searching are only the start – one of the best activities here is flying a kite near where the Wright brothers successfully flew the first airplane. The attractive area of Coronado glistens in the sun thanks to the mineral Mica embedded in its sands, the soft waves and picturesque backdrop of characterful homes and mansions adding to its enviable charm. Romantic and idyllic, couples will certainly love travelling here, though there’s plenty to keep families entertained too – the area is very popular with swimmers, surfers, sunbathers and beachcombers. There are a few beaches to choose from here, so you can pick and choose as per your taste: Coronado Central beach is the main beach full of fun activities, North Beach is dog friendly and a hit with the locals, Glorietta Bay’s playground equipment offers the best place for a family holiday, Silver Strand Beach is a pretty spot for a picnic, and Ferry Landing Marketplace offers sweeping views of San Diego, adjacent to the ferry and fishing pier. No matter which beach you choose, we guarantee you won’t want to leave – especially when the fire pits are lit and the s’mores are bought out. If you’re a sun chaser, look no further – this understated beach is soaked in glorious sunshine 361 days of the year. Offering a pleasant escape from the more commercialised side of Florida, this coastal area is full of natural beauty, fantastic waterfront restaurants, rich history, and recreational beach activities the whole family will enjoy. After a day of water sports, sunbathing, and dining al fresco, Sunsets at Pier 60 is a daily festival you won’t want to miss – as the sky is shrouded with warm ambers and oranges, locals and travellers alike saunter along Pier 60 between a collection of musicians, artists, and entertainers. This is certainly a fantastic choice for families, and the perfect add-on to a trip of a lifetime at Orlando’s theme parks.